Jes Vargas is manager of the Consulting and Education Services division of CI. Jes has over 31 years of international experience in the Transportation, Electronics, Semiconductors and Defense industries. Prior to joining CI, he held various executive level and management positions in engineering, quality, project management, business development and supply chain management at several well-known companies, including GCS Inc., Bombardier, Advance Technical Systems, Siemens, Zword Inc. and Rabbit Semiconductor (Digi International). Jes possesses a unique, holistic view of organizations that enables him to quickly understand and problem solve at both the strategic and tactical levels. 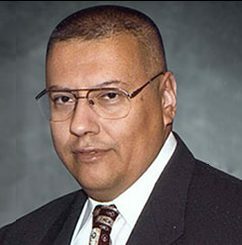 His consulting expertise encompasses strategic planning, leadership training, organizational change management, project management tools and techniques, supply chain management, and continual improvement methods (TQM, Lean, Statistical Process Control, Lean Six Sigma). Jes holds a B.S. degree in Mechanical Engineering from Cal State University, Sacramento, an MBA in Operations from America Century University, and certifications in TQM, Supply Chain Management, Project Management, Lean and Lean Six Sigma.